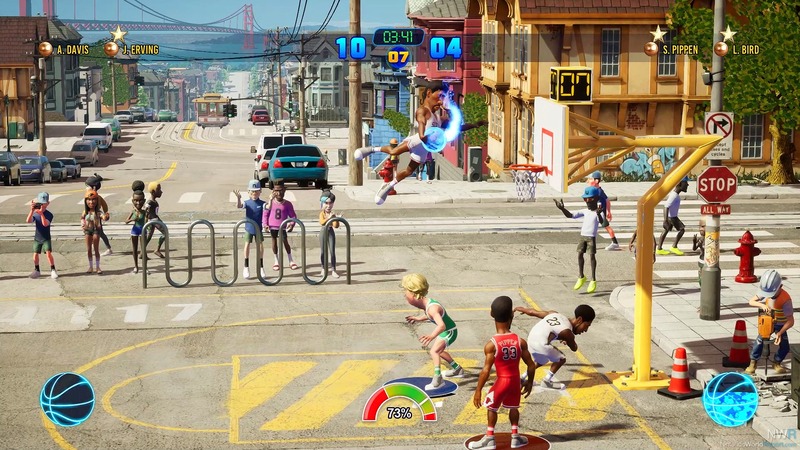 When NBA Playgrounds first came to the Switch, a lot of controversy surrounded it, resulting in early purchasers receiving the new Shaq Fu for free. Luckily, everything was seemingly sorted out, and developer Saber Interactive partnered with 2K for the sequel. Some changes and tweaks were made, but for the most part, the solid arcade basketball experience remains the same, though with added polished. 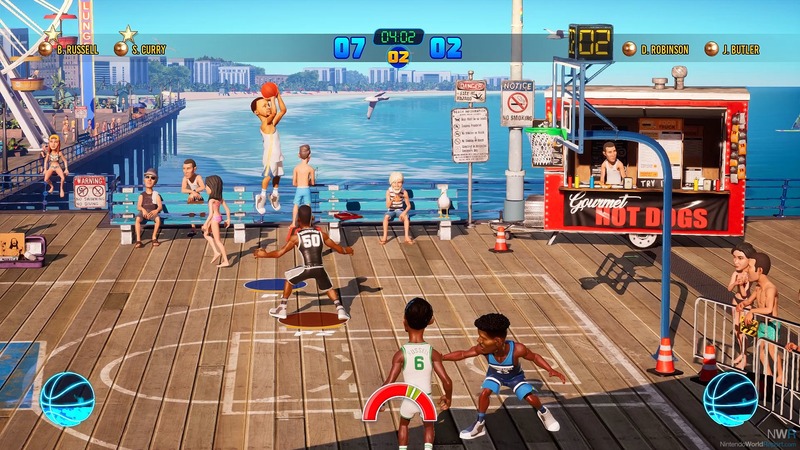 Changes to some of the modes and how characters can be unlocked make NBA Playgrounds 2 an enjoyable game. One major issue players had with the first Playgrounds game, was the amount of time and luck that came along with trying to unlock the entire roster, and more specifically the players you wanted. While the unlock feature is back, with the same $9.99 option to unlock the entire roster, some changes were made to unlocking. Leveling up and winning tournaments earned you card packs in the first game, but now as you and your players gain experience, you earn points. These points can be spent on the same packs that were in the first game, but now you are also able to unlock specific characters for an increased cost. This allows you to unlock your favorite players without the luck that comes along with the packs. Each team also has one character locked behind winning season mode with that team. While being able to unlock the players I wanted was a welcome change, the rate at which you earn points combined with the cost of packs felt like I was earning packs at a slower rate than in the first game. Exhibition and online game modes are back, but the tournament mode from the first game has been replaced by season mode. Season mode consists of 15 weeks of games and playoffs, which are all best-of-three series. This mode is well done but restricted to teams that you have two players unlocked. One of the fun things in the tournament mode was putting together whatever two players you wanted, which is lacking here. The basketball gameplay has been polished to be even better. Your chance to hit seems to be clearer, allowing easier baskets. There are also new lottery power-ups, such as a frozen basket where your opponents must attempt three shots to break the ice over their basket and one that offers double points for three-pointers. Much like the power-ups in the first game, these can be incredibly powerful, completely shifting the momentum of the match or fall flat and feel totally useless. When I was doing season mode the two players that I had on my team were not very good outside shooters so when I got the six-pointer powerup I felt it was useless and just had to ignore it. If you liked NBA Playgrounds then this game will surely be a solid improvement you enjoy. If the first game was too buggy, or there were too many issues, then Playgrounds 2 fixes many problems. There are still reasons to be cautious with things like roster unlocks and limitations in the game modes, but it is overall a solid package.